There is something about architecture that seamlessly interacts with its environment that immediately catches our eye. When the structure blends into the landscape…there is almost something child-like about it; as if comes from a part of our imagination that sort of slipped though our fingers as we climbed the latter of adulthood. 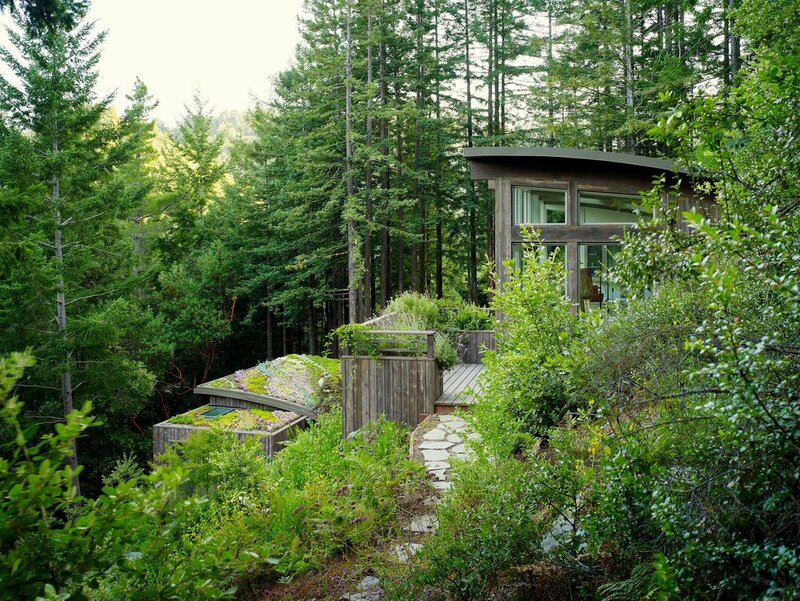 Feldman Architecture who, through their Mill Valley Cabins project in San Fransisco, reminds us that architecture is (almost) limitless, and that the residential world of construction is indeed a playground. Suitably enough, the design was an interpretation of the retired residents pursuit of situating themselves in spaces that would inspire the imagination. 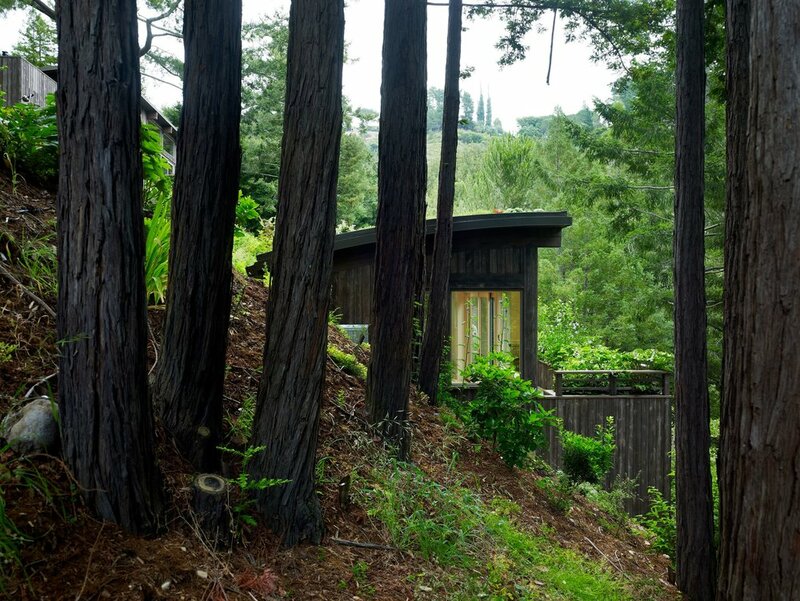 The wooded site had served as the client’s home for many years, and the two cabins—which took form as art and yoga studio—provided them with the opportunity to become even more intimate with their natural surroundings. 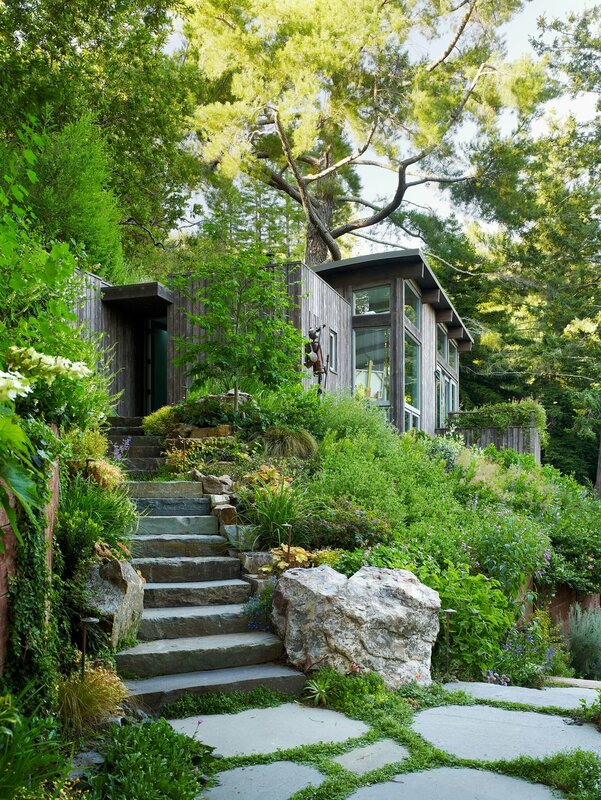 In addition to being artists they are avid gardeners, which was beautifully solved with the lower building’s planted roof functioning as a quilt-like garden. 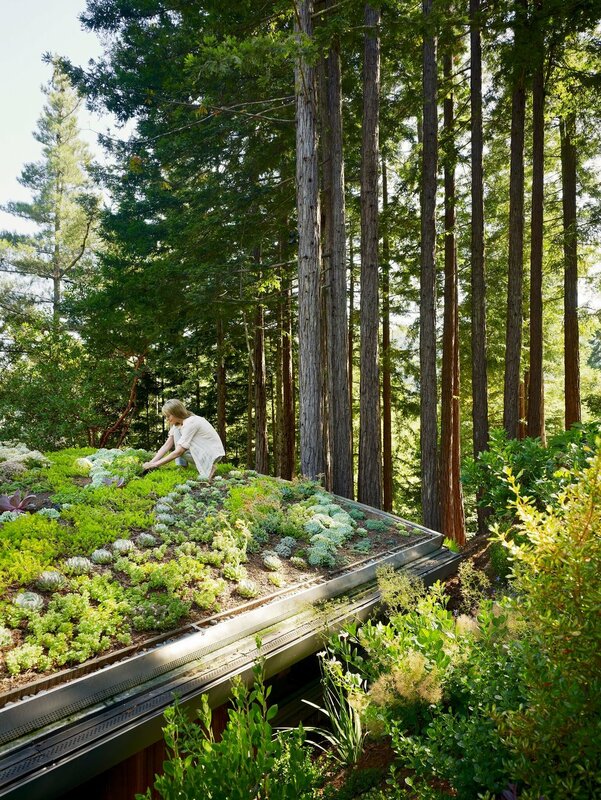 Furthermore, in order to prevent erosion in the steep terrain, the roof collects, guides and release storm water back onto the sloped site. That's a win, win, win, win situation for ya.